In order to succeed in the world of business, you need to have a way to reach out to potential customers. Thanks to the internet and boosts in technology over the years, we are now living in a world that is more connected than ever. As a result, it is possible to reach people from every corner of the world with your product. However, in order to truly find success with your products, you will need to leave the internet and reach out via a physical and practical marketing expansion. The most common way that businesses are seeking to improve their outreach is by way of digital signage displays. Digital signs are ushering in a new era of marketing and we’re excited to show you how they can impact your business. Digital signs are a practical way to expand your outreach into new marketing demographics. For all of the hubbub that the internet has raised in the marketing world, nothing really can beat a product in front of potentially limitless customers. Digital signs aren’t a new invention but they are new to the way that people are using them for their business expansions. Let’s talk a little bit about how digital signage can improve your marketing outreach. 1) Low Cost, High Upside – With digital signs, you can approach your marketing campaign with a relatively small budget that has the potential to provide tremendous upside. Digital signs are cheap enough to be affordable by most businesses and when placed in ideal locations, they can provide plenty of eyes in your targeted marketing demographic. There is pretty much no downside to targeted digital sign marketing. 2) Connect On The Fly – Digital signs also allow you to connect with potential customers while they are out and about, away from home. Digital signs are different from most internet-driven marketing campaigns in that they can be interacted with even when away from the computer. Consider employing QR codes or augmented reality campaigns in juxtaposition with your digital signs. People always like interacting with unique companies, so take some time in order to develop your digital signage marketing campaign in order to maximize your impact. 3) Easy To Deploy – Finally, digital signs are one of the easiest ways to deploy new marketing techniques. Digital signs can be as big or small as you want them to be. 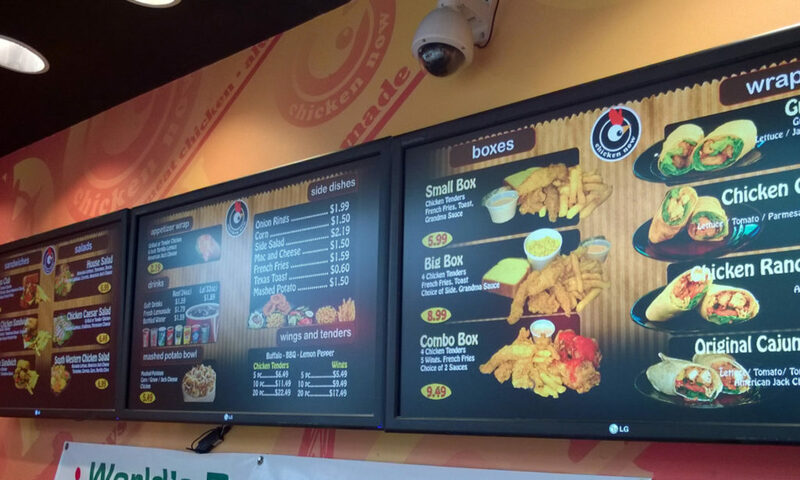 Due to their flexible size, you can get your digital signage installed in just about any location that is willing to accommodate you. There is no reason to worry about getting your sign in front of the right people so long as you take an educated approach. In the world of marketing, no ideas should be off the table. With your digital signage campaign in the works, you are preparing yourself for a huge boost in potential customer interaction and revenue. Stay patient and creative and you’ll find success with your digital signage in no time.